Akshay Kumar's Toilet: Ek Prem Katha: Twinkle Khanna tweeted, "Saw #ToiletEkPremKatha and loved it! Very proud of Mr K-It's a highly entertaining and equally important movie!" 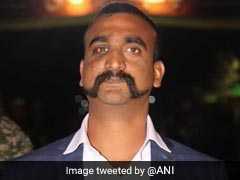 Author Twinkle Khanna, wife of actor Akshay Kumar, 'loved' Toilet: Ek Prem Katha, his forthcoming film. "Saw #ToiletEkPremKatha and loved it! Very proud of Mr K-It's a highly entertaining and equally important movie! 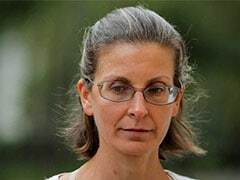 #MustWatch," Twinkle, 42, tweeted. 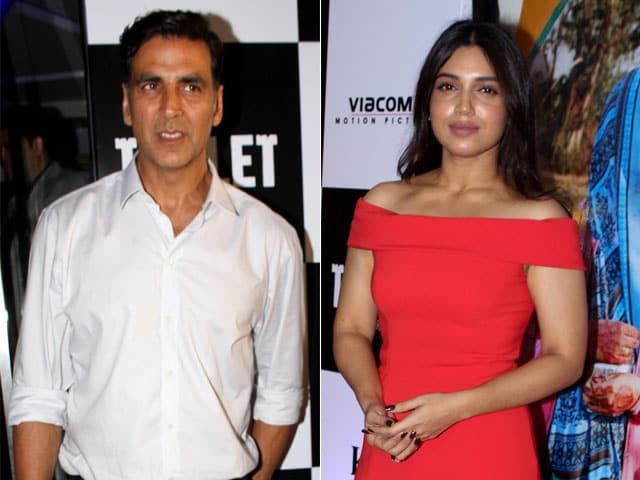 Toilet: Ek Prem Katha stars actress Bhumi Pednekar opposite Akshay. The Shree Narayan Singh-directed film deals with issues of open defecation in India and highlights the importance of sanitation. A day ago, Hrithik Roshan wished Akshay for his upcoming release and said that Toilet: Ek Prem Katha looks 'fantastic.' In his tweet, he also congratulated Akshay and Twinkle. 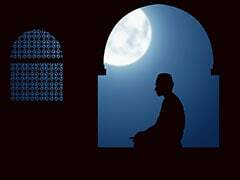 Soon, the former actress responded in kind and replied, "Thank you kind sir, big hug." 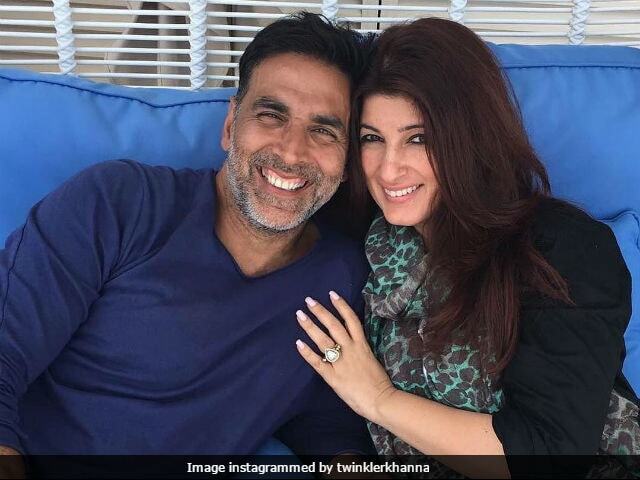 Akshay Kumar and Twinkle Khanna have been married since 2001. They have two children, son Aarav and daughter Nitara. Twinkle Khanna is also the producer of Akshay Kumar's next film Padman. Here's what Twinkle Khanna tweeted. Read Hrithik Roshan and Twinkle Khanna's Twitter exchange. 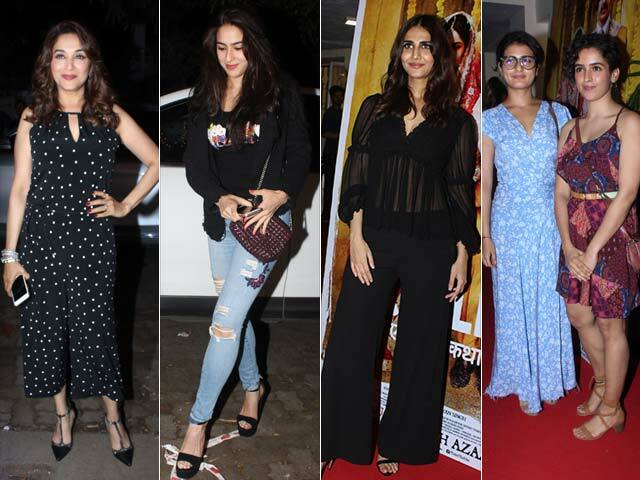 Meanwhile, a special screening of the film was held in Mumbai last night, where celebrities like Madhuri Dixit, Arjun Kapoor, Ayushmann Khurrana, Kriti Sanon, Sanya Malhotra, Fatima Sana Shaikh, John Abraham and others were spotted. Saif Ali Khan's daughter Sara also attended the screening. The theme of Toilet: Ek Prem Katha is similar to Prime Minister Narendra Modi's Swachh Bharat Abhiyan. Soon after the trailer was released, PM Modi had tweeted, "Good effort to further the message of cleanliness. 125 crore Indians have to continue working together to create a Swachh Bharat." Box Office India predicts that Akshay's Toilet: Ek Prem Katha will get a decent opening and the Day 1 collections are likely to be between Rs 10-15 crore. Celebrities like Alia Bhatt, Karan Johar, Arjun Kapoor and Ranveer Singh have also supported Toilet: Ek Prem Katha.